The Restating Clay conference brought together potters, artists, curators, academics, students, collectors, gallerists and enthusiasts from the UK and beyond to share experience and knowledge about the issues that matter to the sector. The conference was generously supported by a grant from Arts Council England’s Museums Resilience Fund and was a collaboration between York Museums Trust, the University of York and York College. 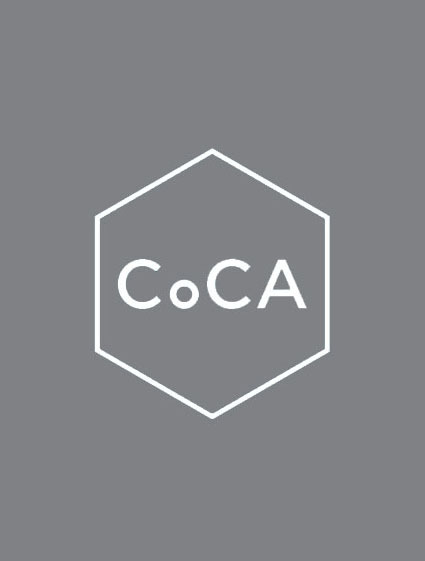 Make/Promote/Collect – exploring ways to develop, promote and sell ceramics. Keynote speaker: Garth Clark, preeminent curator, gallerist, writer and critic, currently Chief Editor for the non-profit CFile Foundation, a global online campus for contemporary ceramics in art, design, architecture and technology that broadcasts daily from Santa Fe, New Mexico. Adapt/Respond/Advocate – questioning the state of the discipline; opportunities, challenges and the future of contemporary studio ceramics. 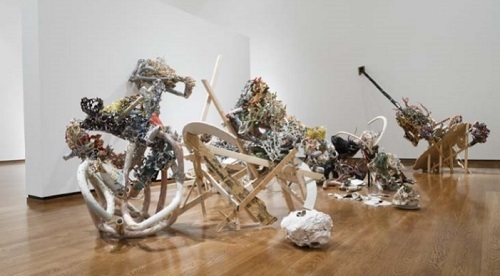 Keynote speaker: Linda Sormin, artist-educator whose objects and site-responsive installations – exploring issues of fragility, aggression, mobility, survival and regeneration – have been exhibited internationally. She is Associate Professor of Ceramic Art at the New York State College of Ceramics at Alfred University. Investigate/Reflect/Exhibit – examining approaches to researching, curating, interpreting and writing about ceramics. Keynote speaker: Wendy Gers, art director and independent curator, internationally recognised for her pioneering research in the domains of ceramic art, design and theory. She is a founding coordinator of La Céramique Comme Experience (CCE) at the Ecole Nationale Supérieure d’Arts, Limoges, France. Instigate/Educate/Nurture – considering teaching, learning, and professional development, to maintain and maximise creative practice. Keynote speaker: Jennifer Zwilling, Curator of Artistic Programmes at The Clay Studio in Philadelphia. She joined The Clay Studio in January 2015 from the Philadelphia Museum of Art where she was most recently Assistant Curator for American Decorative Arts and Contemporary Craft. Paul Greenhalgh, Director of the Sainsbury Centre for Visual Arts at the University of East Anglia, will introduce the keynote speakers and provide closing remarks and reflects at the end of the two-day event. Other contributors include: Christie Brown, Shlomit Bauman, Steve Dixon, Susan Halls, Andrew Livingstone, Paul March, Phoebe Cummings, Eva Masterman and many more. Please see the bottom of this page for the full list of contributors. The conference is supported by PotClays. Curating Clay: What are the challenges in 2018 and beyond? Christopher Allison, Kay Aplin, Jo Ayre, Dena Bagi, Janet Barnes, Shlomit Bauman, Isabella Bilstein, Sue Blatherwick, Beccy Boxer, Laura Breen, Christie Brown, Helen Brown, Paul Burbridge, Kyra Cane, Carla Cevasco, Kimberley Chandler, Garth Clark, Phoebe Cummings, Jo Dahn, Julia Davis-Nosko, Zoe Dennington, Charlotte Dew, Stephen Dixon, Luke Eastop, Fenella Elms, Priska Falin, Helen Felcey, Doug Fitch, Bridget Foreman, Lucy Fulton, Wendy Gers, Grant Gibson, Alun Graves, Fiona Green, Paul Greenhalgh, Susan Halls, Joe Hartley, Joanne Hayward, Sue Herdman, Helen Hills, Walter Keeler, Stephen Knott, Peter Lewis, Andrew Livingstone, Paul March, Eva Masterman, Natasha Mayo, Hannah McAndrew, Amanda McDonagh, Alex McErlain, Ian McIntyre, Nathan Mullis, Tessa Peters, Penny Phillips, Ed Poxon, Robert Pikavance, Sara Radstone, Nick Renshaw, Catherine Roche, Anthony Shaw, Robin Simpson, Debra Sloan, Isabella Smith, Linda Sormin, Emily Stubbs, Rachel Swift, Adam Toole, Moira Vincentelli, Helen Walsh, Jennifer Zwilling.